Orientation is held in August while students are taking the Business Frameworks courses. 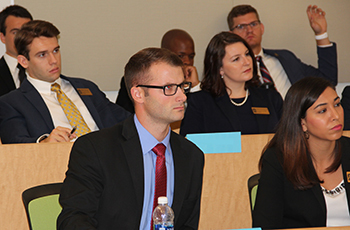 You will get to know your fellow classmates, faculty and staff and learn more about the resources available to you as a graduate student in the Hankamer School of Business. 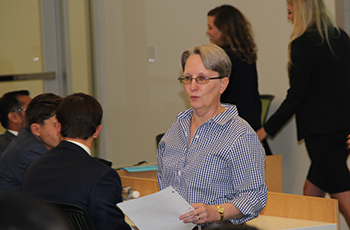 Faculty will lead a discussion on the Honor Code for Graduate Business Programs. Academic advisers will lead a briefing about degree plans, elective offerings, grading system, and probation rules. 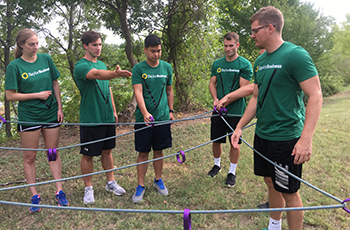 Students take part and compete in the MBA Olympics activity held at Baylor's outdoor challenge course. 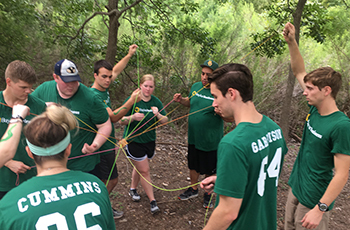 If you have any questions about the orientation schedule or activities, please contact Chelsea Derry, Assistant Director for Student Services, via email at chelsea_derry@baylor.edu or by phone at 1-800-583-0622.